Jeanne reveals which branches of the evolutionary tree of plants bear edible leaves and speculates about why that is. Most of the 300,000 + plant species have leaves, and the function of all of them is to perform photosynthesis. They are the ultimate source for all of the oxygen and food for the rest of the food chain and help regulate the global carbon and water cycles. They are also nutrition superstars. To figure out why greens are good for you and whether all leaves are equal in this regard, we need to take quick look at global leaf structural variability and broad evolutionary patterns in the species that make their way onto our tables. Across the global flora leaves are extraordinarily structurally variable. They vary in size from a tiny duckweed leaf to a huge palm frond, and in thickness from a thin lettuce leaf to a thick leaf of a succulent aloe or pine needle. We don’t fully understand yet why leaves are so structurally variable across species. My colleagues and I recently published a paper demonstrating that across the global flora leaf nutrient concentrations and physiological rates of maximum photosynthetic carbon gain and respiratory carbon loss change in proportion to leaf area more strongly than they change in proportion to leaf mass. We demonstrate the consequences of this area-proportionality of leaf traits for how we measure, analyze and use these leaf traits in models of the global carbon cycle. Microscope cross section of a privet leaf. 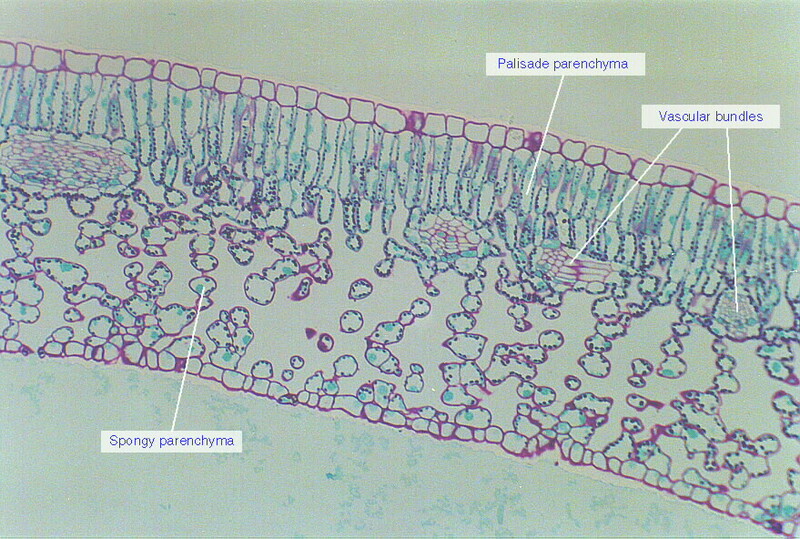 Most photosynthesis is performed by the columnar cells of the palisade parenchyma, underneath the upper epidermis. Photo source unknown. Of relevance here, however, is that the high area-proportionality of leaf traits simply means that the parts of the leaf that are most beneficial for humans (digestible protein, vitamins, minerals, carbohydrates, digestible fiber) are likely proportional in many species to the leaf’s photosynthetic apparatus, which is clustered in a relatively thin band of cells beneath the epidermis (see image). 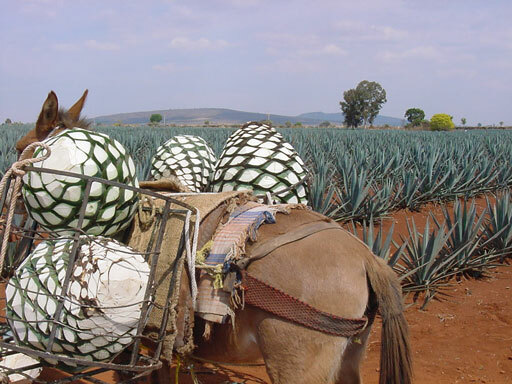 Adding thickness to a leaf doesn’t necessarily add nutritious tissue and might instead add mostly fibrous, indigestible structural material (see agave photo below). This does not mean that the thinner the leaf, the more nutritious it is; this is just a general tendency across all plants. Scaled up to the level of the whole plant, though, we see that leaves have the highest ratio of nutritious material (digestible protein, vitamins and minerals, fiber) to indigestible material (for most species). Some fruits probably come close, but fruit is rare, and leaves are abundant. Blue agave (Agave tequilana) hearts ready to be turned into agave syrup and tequila, showing cross section of the base of the very thick (high LMA) leaves, which have been hacked off with a machete. The dark bluish-green outer leaf layer is where all the photosynthesis takes place and is where the nutrition in the leaf is primarily located, from the perspective of an herbivore. The white inner part of the leaves consists of structural material and storage. The inner fibers of the leaves are used to make rope! Photo source unknown. One of the key variables modulating area- vs mass-proportionality of leaf traits is leaf mass per unit leaf area (LMA), which increases with leaf thickness and density. 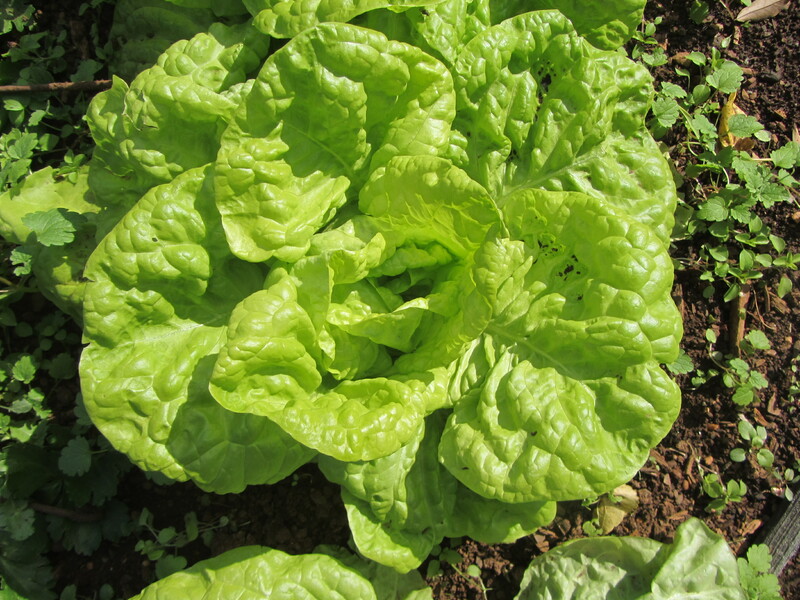 Lettuce leaves have very low LMA, pine needles and holly leaves have high LMA. Although there is very little data on the subject, the leaves that we eat tend to fall on the low end of the global LMA spectrum, shown here for a global dataset of more than 2500 wild species. Histogram of LMA (g*m^-2) for over 2500 wild species (data from Wright et al. 2004). 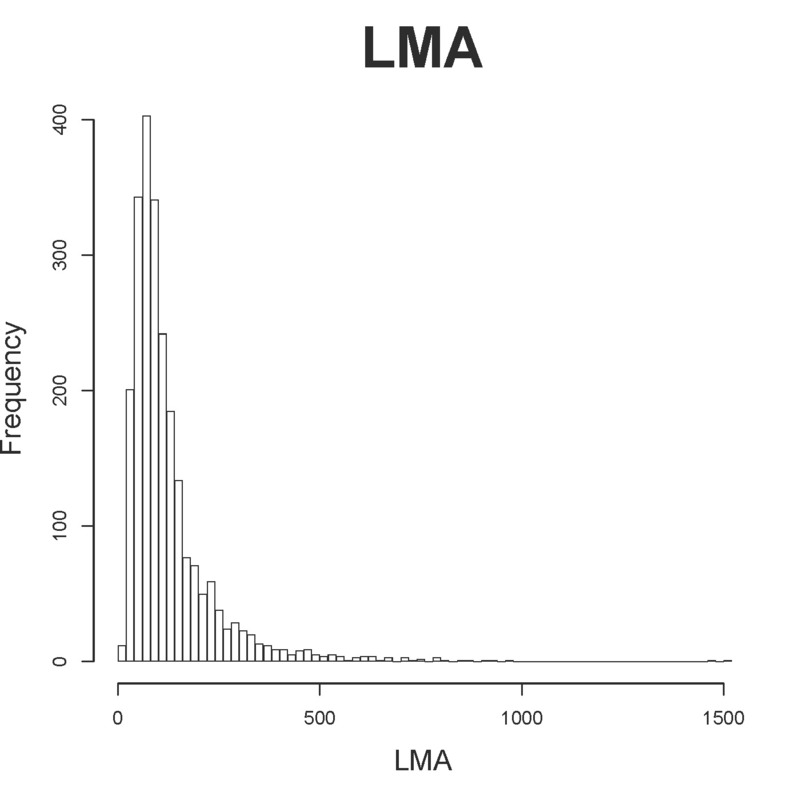 “Frequency” is number of species in the data with a given LMA. Most species have relatively low LMA. Thin leaves have low LMA (left side), thick and/or very dense leaves have high LMA (right side). LMA varies by 3 orders of magnitude across the global floral. 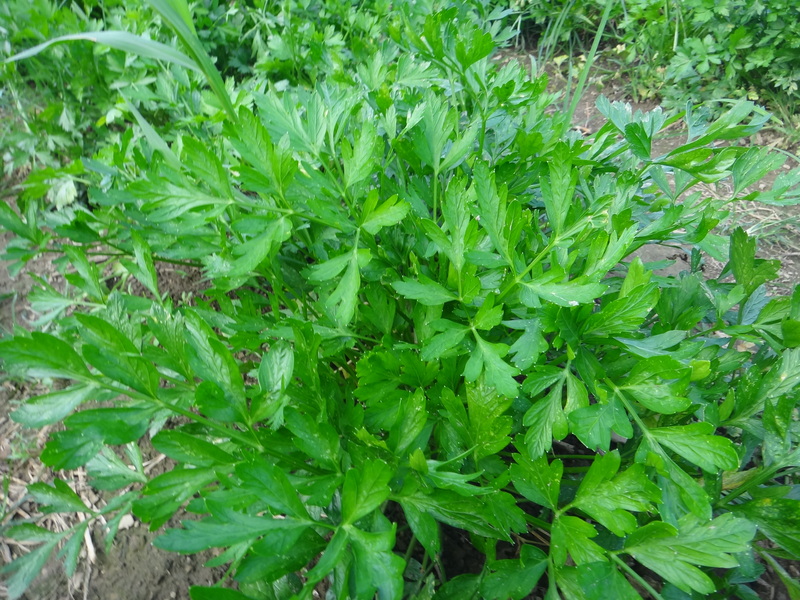 Leaf tenderness—reducing LMA–is certainly a trait that has undergone selection in cultivated varieties. In species with varietals that have undergone selection on different structures, the varieties in which selection has been directed at the leaves invariably have more tender, less bitter, and larger leaves than do varieties in which selection has been directed at different structures, such as the roots. 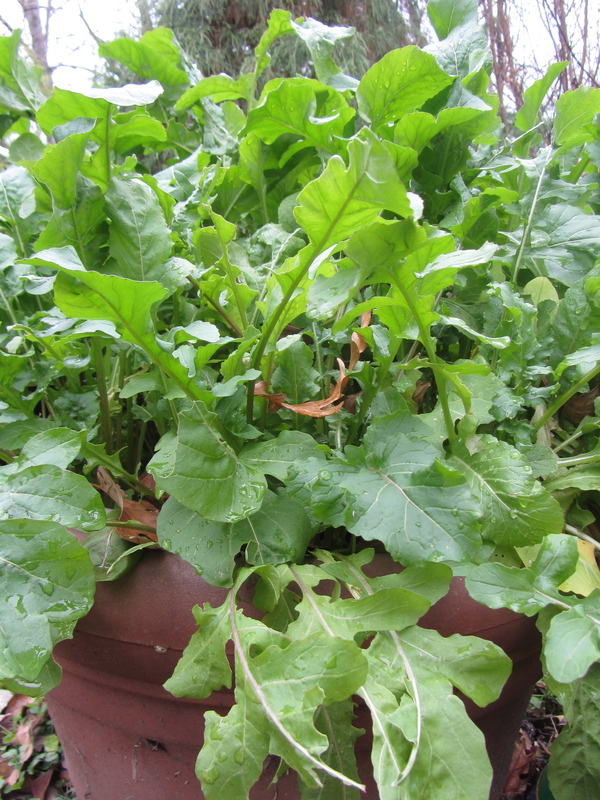 For example, chard has larger and more tender greens than do beets (both Beta vulgaris, Caryophyllales); celery grown for stalks and leaves is more tender than the aboveground portion of the celery varietal grown for its root (both Apium graveolens, Apiales); and Siberian kale varieties have more tender leaves than do rutabaga varieties (both Brassica napus, Brassicales). 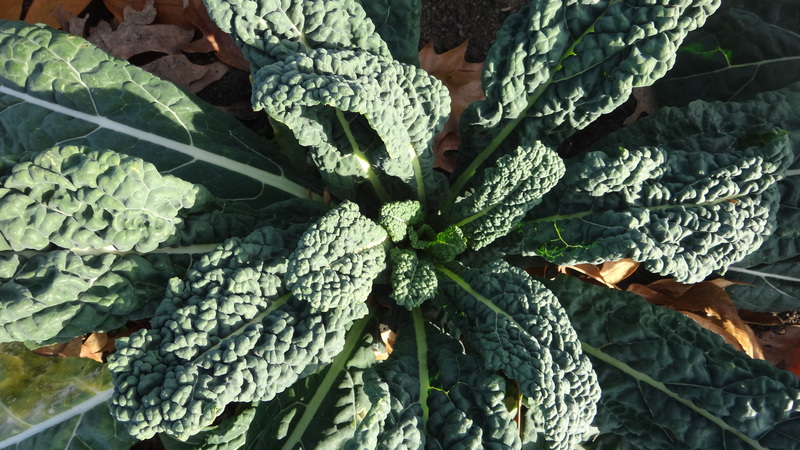 Kale and collards, grown for their leaves, have leaves that are more tender than those of conspecific Brassica oleracea grown primarily for other structures: kohlrabi, broccoli, cauliflower, Brussels sprouts (and for those of you keeping track at home, in the B. oleracea, Brassica, and Brassicaceae posts, I erroneously lumped all kales into Brassica oleracea—some of them are B. napus, including my favorite variety: Red Russian kale). Don’t dare throw out your beet, celeriac, rutabaga or B. oleracea greens, though, if you’re lucky enough to get them—they need a bit more cooking or tenderizing, but they’re still delicious and nutritious. 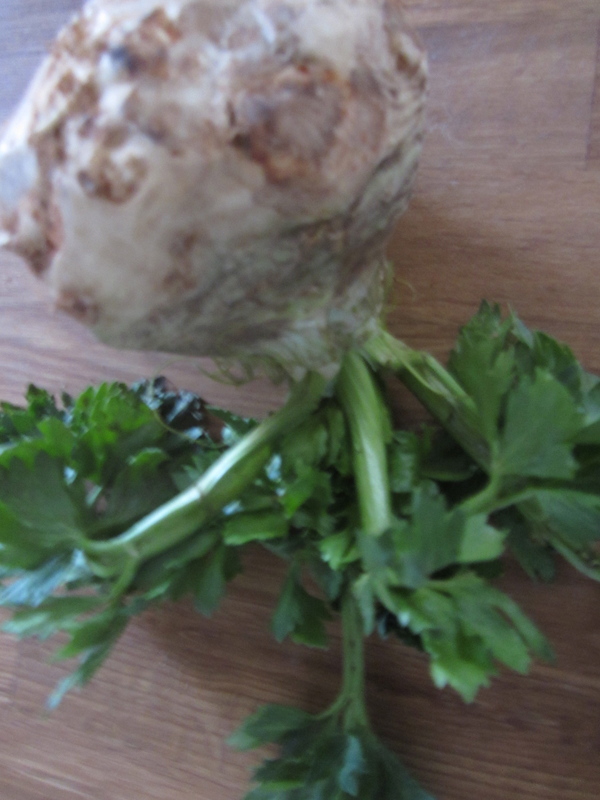 At least put your celery root greens in stock. LMA also varies within a varietal based on growing conditions. Leaves grown in sun have higher LMA than leaves grown in shade. The impact of growing conditions within species, however, will have to wait for another time. LMA is hardly the only determinant of which species make it onto our plates. Otherwise, we’d have our pick of hundreds of species on the low-LMA end of the global curve. Instead, we can put most of our greens species on a fairly legible phylogenetic tree in need of only a few disclaimer paragraphs of omissions. 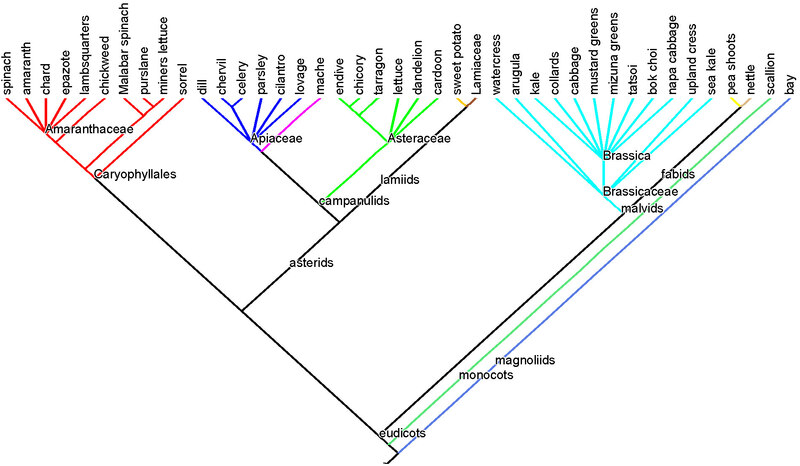 The greens tree: phylogenetic relationships among species whose leaves we eat. Taxon branches are shaded according to taxonomic order. Click here for a refresher on reading trees and on plant evolutionary history. Like many phylogenetic trees of more than a handful of species, this tree of our “greens species” commits sins of both commission and omission in the interest of producing a readable image. Omission because the species on the tree do not comprise an exhaustive list of species whose leaves people around the globe regularly consume. Commission because I included a few unusual items, such as sweet potato leaves (Ipomoea, Solanales), and pea shoots (Fabales), and a few taxa are single representatives of a large group. Sister to sweet potato on the tree, for example, is the entire family Lamiaceae, the mints. We mostly use leaves from the mints as herbs and spices: peppermint and spearmint (Mentha sp. 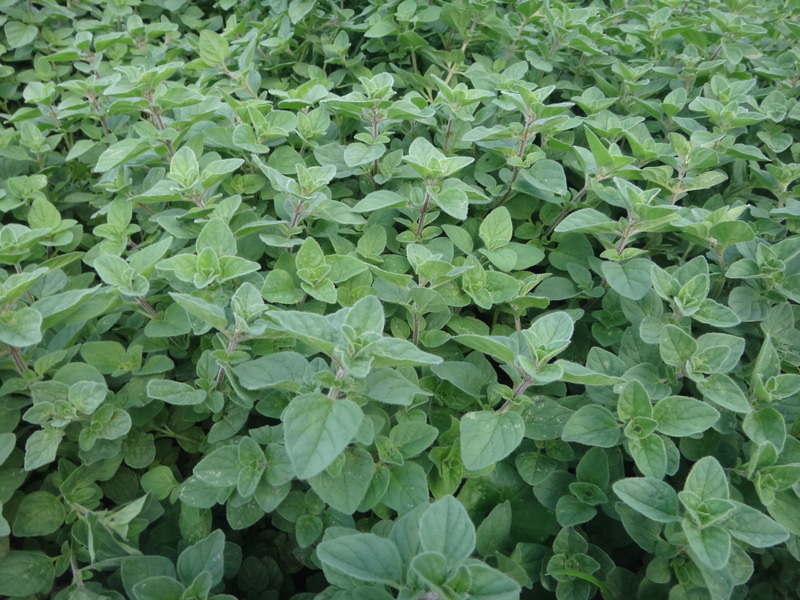 ), basil (Ocimum sp. ), thyme (Thymus sp. 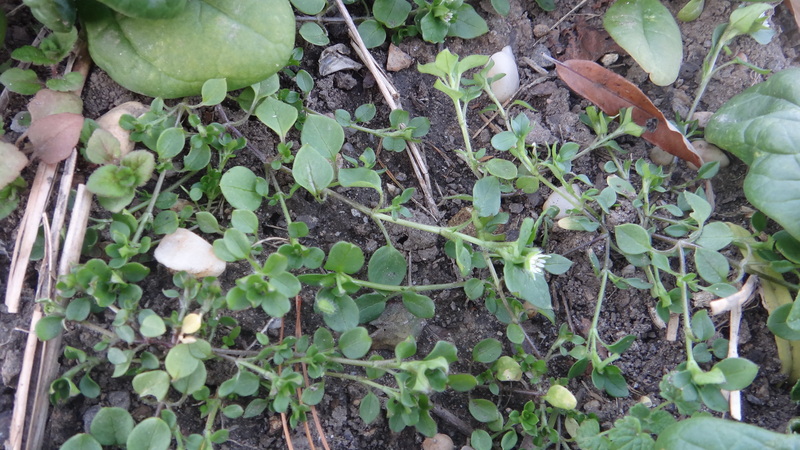 ), oregano and marjoram (Origanum sp. ), rosemary (Rosmarinus sp. ), lemon balm (Melissa sp. 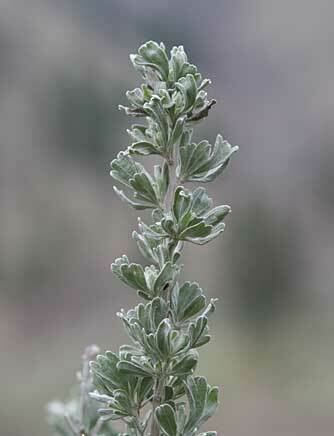 ), lavender (Lavandula sp. ), shiso (Perilla frutescens), bee balm (Monarda sp. ), and mountain mint (Pycnanthemum sp.). Also, scallions are the only representatives on the tree from the genus Allium in the monocot order Asparagles, which includes many edible species, the leaves of some of which are regularly employed: garlic, leeks, ramps, and onions. I’ve included a few weedy, wild things that I pick regularly and that one can actually occasionally pay money for at the farmer’s market: nettle (Urtica dioica, Rosales), chickweed (Stellaria media, Caryophyllales), miner’s lettuce (Claytonia perfoliata, Caryophyllales), purslane (Portulaca oleracea, Caryophyllales), and dandelion (Taraxacum officinale, Asterales). Largely, however, I’ve omitted species whose leaves are technically edible, at least in small doses at some point in their life cycle, but that are reduced to curiosities at the modern American table, not staples. Therefore, please hold your fire if you’re shaking your fist at the tree because it omits the young beech (Fagus grandifolia, Fagales), sassafras (Sassafras albidum, Laureles), or violet (Viola odorata, Malpighiales) leaves you like to nibble on when you hike east of the Mississippi. Fern fiddlehead (assorted Polypodiales) enthusiasts, too, forgive me. We use some leaves to prepare other food: banana leaves and corn husks to wrap tamales, and palm fronds and fig leaves to wrap fish for baking or grilling. I salute these leaves, but they’re not on the tree. Some are gone simply because I didn’t have room, such as many of the crucifer greens, and asterids chrysanthemum, borage and comfrey (although those last two haven’t been placed to order yet and would therefore have been difficult to place within the asterids anyway). I left off plants whose leaves are regularly consumed as infusions (“tea”), including, for example, the actual tea plant (Camelia sinensis, Ericales), yerba maté (Ilex paraguariensis, Aquifoliales), raspberry leaf (Rubus sp., Rosales), yerba santa (Piper sp., Piperales), blueberry leaf (Vaccinium sp., Ericales), conifer needles (Pinales), and oatstraw (Avena sp., Poales), each of which would add another order to our tree. As with raspberry and blueberry leaves, I did not include some plants whose leaves we occasionally use but that are known primarily for the edibility of other structures, such as winter squash, peach (Prunus persica, Rosales), wheat (Triticum sp., Poales), citrus (e.g. kaffir lime and curry leaves, Rutaceae, Sapindales) or grape (Vitis sp., Vitales). I also did not include rhubarb (Rheum sp., Caryophyllales) as sister species to the sorrel in the greens tree as a public service. The part of rhubarb that we eat, the stalk, is the petiole, which connects the leaf blade to the stem. The rhubarb stalk is structurally similar to that of celery, another petiole. Celery stalks, however, support delicious edible leaf blades, while rhubarb stalks support large, quite poisonous leaf blades, with incredibly high concentrations of calcium oxalate, which gives both rhubarb petioles and sorrel leaves their tang. We technically eat the highly-reduced, vestigial, scale-like leaves of young asparagus shoots (Asparagus officinalis, Asparagales), but given that they are the plant equivalent of a human tailbone—not really useful but hard to evolutionarily get rid of—they don’t make the tree. Same goes for cactus (Caryophyllales) paddles. The cactus spines are technically the leaves, and the stem does all the photosynthesis and water storage. So no nopales on our tree. Gone from the tree is the entire Solanaceae family—the nightshades—tomatoes, potatoes, eggplant, peppers, tomatillos, ground cherries, goji berries. Their leaves are actually quite toxic. Tobacco is in the Solanaceae, but I’m not about to include it in our G-rated greens tree. The only representative on our tree of the order in which they nightshades appear, the Solanales, is sweet potato. Gone too are the grass family (Poaceae) and all Fabaceae—the legumes—save pea shoots, and Rosaceae—the rose family—stone fruits, strawberries, rapsberries, blackberries, apples, pears, loquat. Only nettle (family Urticaceae) is left in the order Rosales. 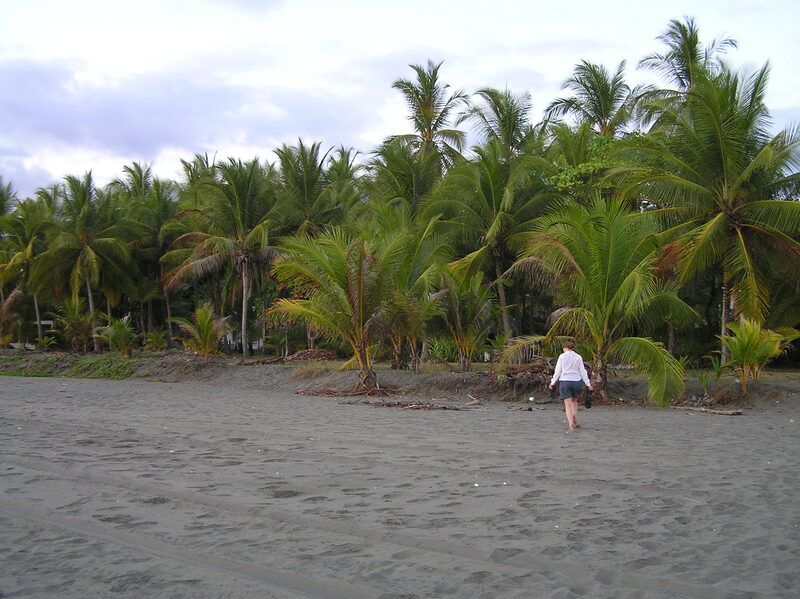 Gone are the nuts in the Fagales, the spices in the Zingiberales, the blueberries and cranberries in the Ericales, the coconut and date palms (Arecales). So given this level of culling, how well represented is the global flora by the leaves that we consume? It depends on the taxonomic level of analysis. If we look at species, then the greens on the greens tree plus the mentioned omissions together obviously represents a tiny sliver of global plant species diversity. Even if we multiply the number of species mentioned here by 40, to account for some or all of the global greens consumed that are unknown to me, we still would only account for 1% of global plant species diversity. At the family level, we see that the greens tree has 15 families, but that most of the greens regularly consumed in the Western world are from only five of the 415+ families of seed plants currently recognized: Amaranthaceae (goosefoot family), Apiaceae (the carrot family), Asteraceae (the sunflower family), Lamiaceae (the mints) and Brassicaceae (the mustard family). 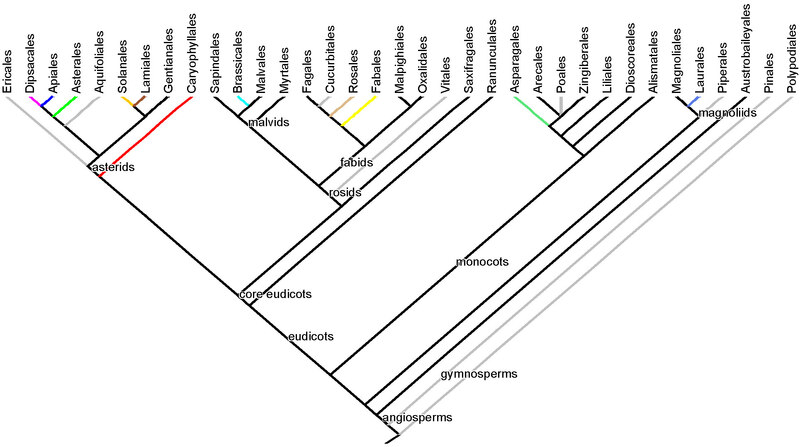 Therefore, the greens tree is far from a random sample of the branches of the phylogenetic tree of the global flora–a few clades dominate the greens tree. If we restrict our analysis to the 76 orders of land plants currently recognized, 35 orders adorn our tree of the orders with edibles (below), 11 of which are highlighted in color on the greens species tree, and an additional 10ish could have been included (some of the omissions listed above, in grey on the orders tree). Plant taxonomic orders with edible species. Orders from the greens tree are shaded with the same colors as in the greens tree. Orders containing most arguably illegitimate omissions from the greens tree are shaded grey. So, between about a quarter and a third of land plant orders include species whose leaves appear in some form in, say, the annual diet of an exceptionally adventuresome American vegetable enthusiast. Whether a quarter or a third sound high or low is up to you, but the upper limit is surely dictated in part by LMA, in part by geography, and part by the other stuff packed into and onto leaves: defense traits. Do those species that make it into our diets as primary ingredients in salads, soups, frittatas, stir-frys and sauteés have low(ish) LMA? Surely. LMA is largely irrelevant, however, for those species that we use as teas or ground spices or juice (e.g. wheatgrass). Some, perhaps most, leaves in the Western diet are due to geographic chance. In Guns, Germs and Steel Jared Diamond makes the case that certain plants on the Eurasian continent, like wheat, were particularly easy to domesticate and could provide enough nourishment to fuel cities and armies, contributing the Europe’s colonization effectiveness. Many greens in our diet are Mediterranean and likely just tagged along for the ride. I speculate that there is little overlap between the greens that I eat and the greens consumed by groups of people whose diets are relatively unaffected by European contact. I would love to know where their leaves fit on the greens tree. Then we could make inferences about the relative strengths of the contributions of both human culture and plant biology to our greens species selections. All leaves, however, are defended, either by physical or chemical weaponry that renders the leaves of 67-75% entire orders of the global flora totally inedible. Physical weaponry includes thick, brittle epidermises (think holly, Ilex, sp., one of which is yerba maté), fuzzy or prickly hairs, chemical-rich hairs (nettle is disarmed by drying or cooking), or high silica crystal concentrations, as in leaves of grasses (Poaceae), which likely contributed to the evolution of large, heavy, well-enameled molars in grazing ungulates. Once the spines are removed by cutting off the leaf perimeter with scissors, weedy milk thistle (Silybum marianum, Asteraceae) leaves make an excellent salad. Chemical weapons, called secondary compounds, are toxic or otherwise deterrent compounds in or on the leaves and are as diverse as they are abundant across the global flora. They tend to be somewhat phylogenetically conserved, at least at the level of taxonomic family or order, and so contribute to some similarity of flavor among closely-related species. 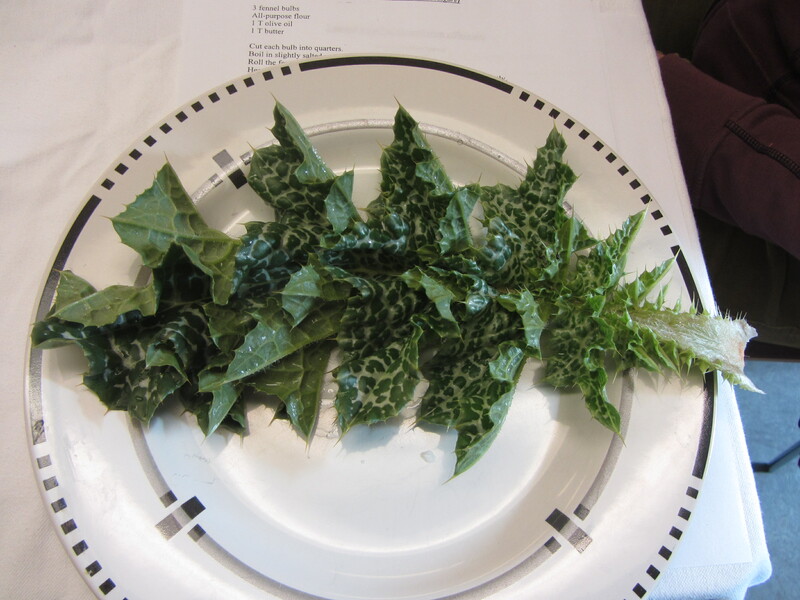 Try as an exercise to eat leaves within families serially for a few days and then switch families to develop a gestalt for the differences among clades (we’ll fill you in on the biological details in good time). 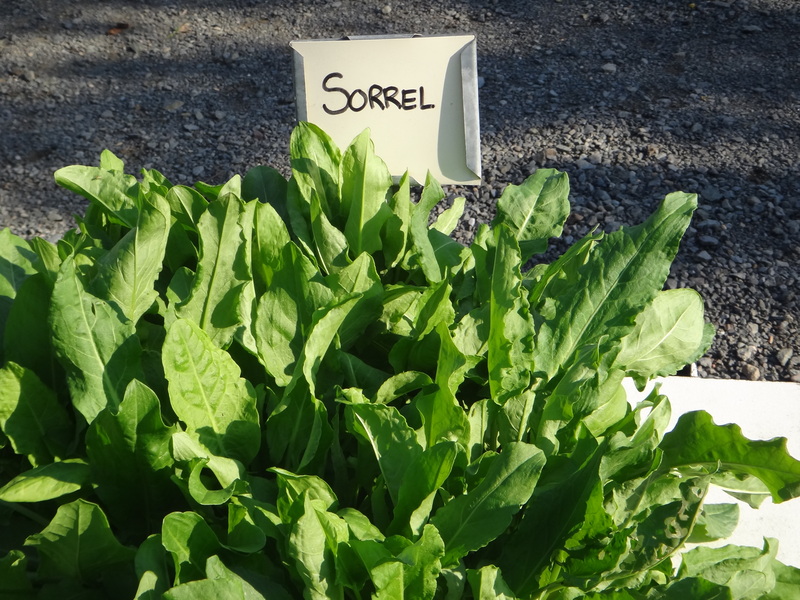 Start with your Amaranthaceae: beets sauteéd with their leaves in butter one night, chard the next night, spinach or amaranth or lambsquarters greens the third. Switch to the crucifers and try creamed kale (recipe below from chef friend of the blog Michelle Fuerst), cabbage slaw, and arugula salad. Switch to a few days of meals with dishes dominated by the Apiaceae: parsley in tabouleh, a cilantro-heavy salsa, a celery-fennel salad, a generous helping of chopped dill mixed into Greek yogurt on top of roast carrots and parsnips (also Apiaceae). Hit up your mints: Potatoes roasted with rosemary, butternut squash roasted with thyme, a quinoa salad seasoned with mint, beans flavored with oregano or marjoram.Dive into the Asteraceae: try a few different lettuces, radicchio and endives in salad, dip some steamed cardoon leaves in a bagna cauda sauce, steep tarragon in some butter and dump it on…anything. Get more ideas for cooking within plant families in Deborah Madison’s amazing new book, Vegetable Literacy, a cookbook dedicated to 12 plant families. The book’s associated blog has excellent ideas on preparing greens. Slice leeks in half and rinse under water to remove the dirt between the layers. Trim the ends of the leeks to remove the root end. Cut the leeks into a small dice, about 1/2 inch wide. Strip the kale off of the stems and plunge leaves in a large bowl of water. Discard the stems. Remove leaves from water, shake off excess water, but don’t dry. Rough chop the kale into bite size pieces. In a medium saute pan, over medium heat, add butter. When melted, stir in leeks and coat with butter. Season with salt and cover pan. Cook for about 5-8 minutes until leeks are softened. In two batches, add the kale. After the first batch begins to wilt, add the second and continue to cook until all the kale is wilted, about 3-4 minutes. Add cream and cook until cream is reduced and kale is tender, about another 8-10 minutes. Taste and adjust seasoning with salt and black pepper. Optional: instead of leeks, use red onion, and when you add the cream, add half a cup of sliced dried cranberries and a tablespoon or grated orange zest. This entry was posted in Recipes, Uncategorized, Vegetables and tagged greens, Jeanne L. D. Osnas, kale, leaf, Leaves, LMA, phylogeny. Bookmark the permalink. I so enjoy your blog! There appears to be less LMA in greenhouse grown greens and field grown, at least if measured by texture, the greenhouse kale being soft and limp, the outdoor kale being robust and thickish. Is there, in fact, a difference in LMA given how they’re grown? Is there a difference in the nutritional qualities? Thank you for your kind words re. Vegetable Literacy. I bow before a real botanist, of course! Thanks so much for the kudos, Deborah, and for your terrific question. Jeanne mentioned the influence of light on LMA, with high-light leaves having greater mass per area. If outdoor kale gets more light than greenhouse kale, we expect it to be thicker and possibly to have smaller leaves. Given that most of the nutrition is in the area-based photosynthetic layer of the leaf, you might think that thicker leaves would be less nutritious by weight. If that’s true, it probably doesn’t matter much for a full-sized human. Eat one extra leaf (oh, darn) and you’ve probably made up for it. 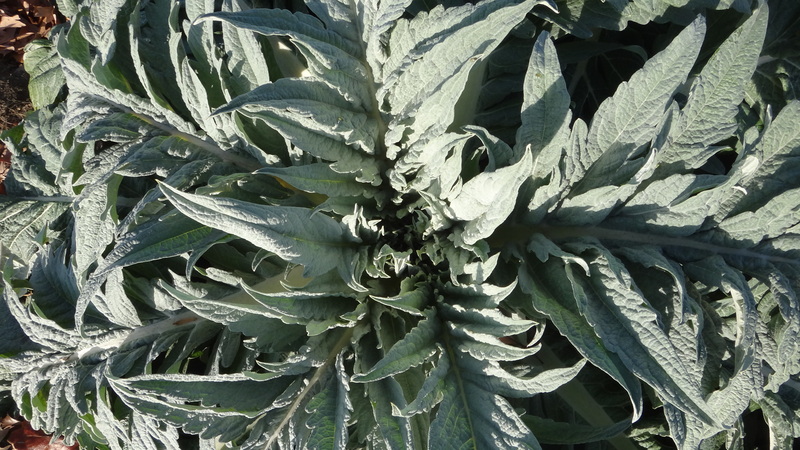 However, it may not even be the case that thicker leaves have less nutrition by weight. A leaf in the sun becomes thicker largely by increasing the depth of that nutrient-filled photosynthetic layer (the palisade layer). Moreover, the cells in that layer might contain more chloroplasts, along with their photosynthetic proteins and micronutrients. They certainly look darker, suggesting greater density of chloroplasts. Plants in the sun usually also crank up production of other pigments (which are antioxidants) to protect themselves from the intense light. Finally, as Jeanne and her colleagues report in their Science paper, the amount of nitrogen in a leaf (a valuable nutrient) increases with both area and thickness. In other words, thick leaves have nitrogen all the way through, not just on the surface. If field-grown plants also experience a bit of drought stress and insect damage, they may produce more defensive compounds which contribute to both flavor and (often) to health benefits for us. Lovely to have you join the conversation, Deborah. Katherine is right that nutrient concentrations track the increase in LMA in response to high light within a species. She’s also right that secondary chemistry might also increase. Whether or not those secondary chemicals enhance the nutritional value I think depends on the species and the chemical. You observed that lettuce latex increases in response to hotter, drier, buggier garden conditions. This would add some bitterness, although I don’t know what digestive or other health consequences this may have, if any. Same story for crucifer glucosinolates (more, bitter). These, however, are widely rumored to have anti-cancer benefits. When you next hike in a redwood grove, look for evidence of sunlight-mediated LMA variation within single trees. 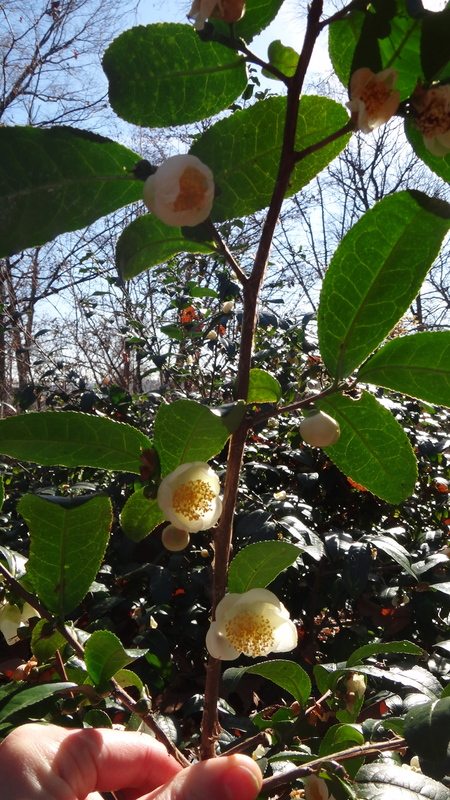 The lower, shaded leaves on the saplings and lower branches are thin, flat, and big. In the deep piles of fallen boughs on the forest, floor, however, you should be able to find branches that fell from the sunny top of the canopy with short, fat, needles obviously arranged in a spiral around the branch. Same phenomenon as greenhouse vs. open garden. Rungia klossii…The varigated garden plant! Mostly grown at a bit of an altitude and traditionally cooked on the fire inside bamboo stems. Not my favourite. Oenanthe javanica…I’ve included this because it looks unerringly like a very toxic British plant. Not much used, except as garnish in posh hotels! Carrot leaves are also sold in town markets occasionally when there are few greens. Polyscias ? I was told it is a favourite green of New Britain. Widely grown as a hedging plant where I lived. Sechium edule (choko) The young shoots and lvs are more popular in the villages than the fruit, which were practically given away at the market. I don’t like the lvs much, but the fruit was very useful in stir-fries when I lived in a rural area! Gnetum gnemon (tulip) The name is pidgin for two leaves as the tree has opposite leaves and the very young (often still reddish) leaves are eaten. Tasty, popular and very widely planted as a boundary plant. Amaranthus sp. Not particularly popular. I was surprised about this, but the taste wasn’t favoured. Ipomoea aquatica (kangkong) Grows in ditches. I stir-fry it with garlic! Abelmoschus manihot (aibika) Kept as a bush by repeatedly harvesting the tips. Rarely seen in flower. Rarely eaten by men (because slimey?) Very widely grown as odd bushes dotted here and there around the house. Very tasty. Ficus copiosa (kumu musong…hairy leaves!) Not my favourite. Too hairy and tough but eaten in villages. Solanum nigrum young plants!!! I’m told that’s the sp. I never knowingly tried it, but it was often on sale in town! Also ferns are eaten in some places. I don’t know much about these though. Incidentally, my neighbour used to childmind for Jared Diamond when he was in PNG. This list is amazing, Anne-Marie. Many, many thanks. Absolutely fascinating. Looks like a mix of natives and imports. Interesting that there is only some family overlap with the greens tree here. I enjoy following your blog, it make see see my food in a completely new way! I would like to nominate your blog for the Liebster Blog Award.If you would like to accept the nomination, the rules are in my post:http://applpy.wordpress.com/2013/04/15/liebster-award-for-thoughtfood/ . Keep up the great posts! We are grateful for the nomination and sincerely thank you for promoting our work. great blog, I just discovered it, simply loved it, congrats! Sounds like a super cool dataset and analysis, Ruben. Thanks for doing it, and do keep us updated about research progress. Before you spend too much more time invested in slow-fast LES language, though, deeply read the Osnas et al. (2013) Science paper and the Lloyd et al. (2013) New Phytologist paper (a Letter, online early right now I think). Regardless, if you publish those data or feel like sharing them, please let me know. I’d love to get my hands on them.